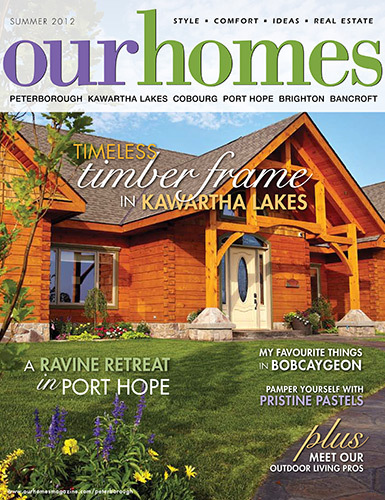 Our Homes Magazine features our timeless log & timberframe home in the Kawartha Lakes – close to Lindsay but affording privacy on a 50 acre country lot. Who can resist such a superb combination?! Click on the image to read the article (PDF). 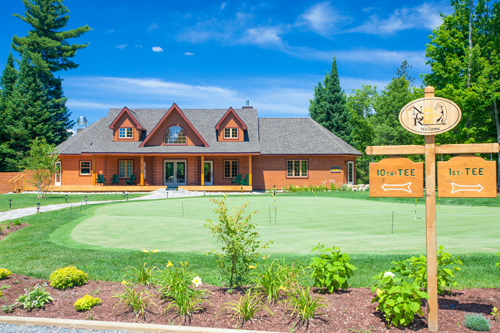 “Ontario’s Hidden Gem” championship 18 hole golf course in the Muskoka’s, located on South Mary Lake Road, Port Sydney, recently finished construction of a new Colonial Concepts log club house. Opening scheduled for 2012 season – see you on the 1st tee! “The thought of not having a cottage was too much to bear“ says Don & Alba Price of Oakville. 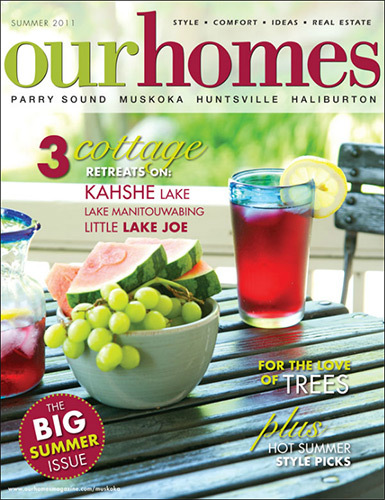 Their new cottage is situated on a rocky, wooded lot overlooking Little Lake Joseph in Muskoka. We’d like to thank Don & Alba (and Tanner) for choosing Colonial Concepts Log & Timberframe and creating such a beautiful retreat. All the best Don & Alba. 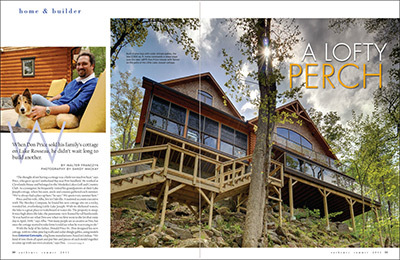 Click below to view the full article in “Our Homes” Magazine. 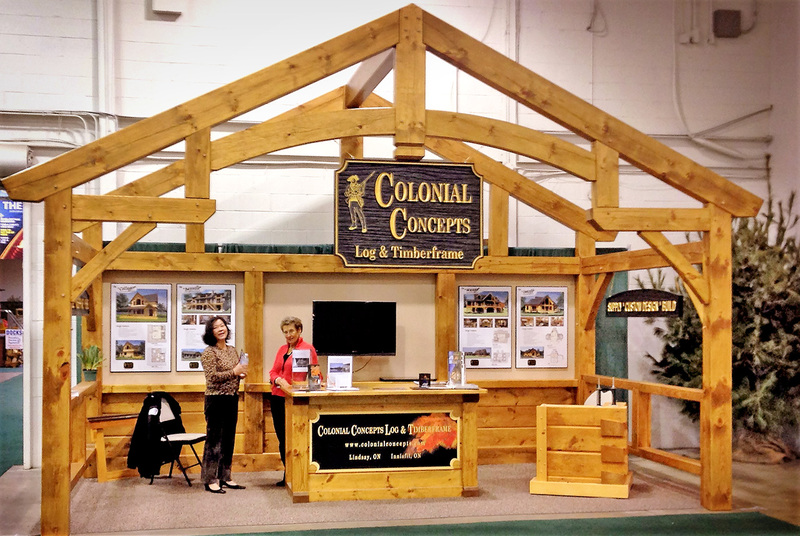 Colonial Concepts Log & Timberframe has taken major steps towards an eco-friendly planet. We have been honoured with the prestigious “Friends of the Environment” award for our commitment to promoting and preserving a green environment. Our log cottages at Whitewater Village on the Ottawa River near Renfrew have been Energy Star Certified providing an ecologically balanced setting where both nature and people can breathe a little easier- for now, and long into the future. We are delighted to announce that the demo cottage at Whitewater Village, produced by Colonial Concepts Log & Timberframe, has recently been ENERGY STAR® certified! 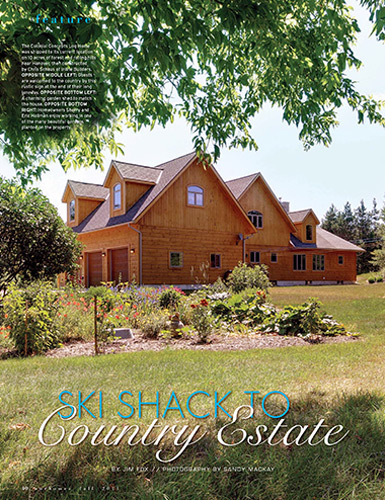 This is one of the first log homes in Canada that has targeted this recognition and we couldn’t be more proud.